Choose your venue: decide what you want from a venue and make sure it’s the right size for how many guests you want to invite. Here at Inox we’ve got flexible suites so you can bring anywhere between 10 and 200 guests. Choose a date and invite your guests: make sure you give your guests advanced notice so that they can save the date. You can book your private dining at Inox as far in advance as you need to. Make your reservation: if you need to change your headcount slightly nearer the time that’s fine, you can start by giving us an estimated headcount at the time of booking. Check your menu: some guests might have special dietary needs so your venue will need to know this to make sure they provide suitable alternatives for your guests. We’ve got a range of menus you can choose from, or our award-winning team of chefs can create a bespoke menu just for you, all using locally sourced and fresh ingredients. Enjoy yourself! Most importantly, have a fantastic time and don’t worry about a thing. 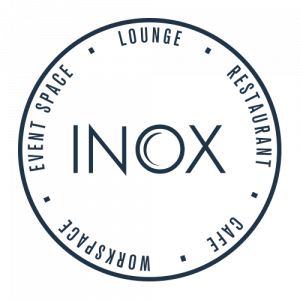 At Inox, our restaurant team will be here to take care of all the details of your event so you won’t have to. If you need private dining in Sheffield for your next event and you would like to see what Inox can offer you, get in touch with the cUStomised team on 0114 222 8822 or at cUStomised@sheffield.ac.uk.